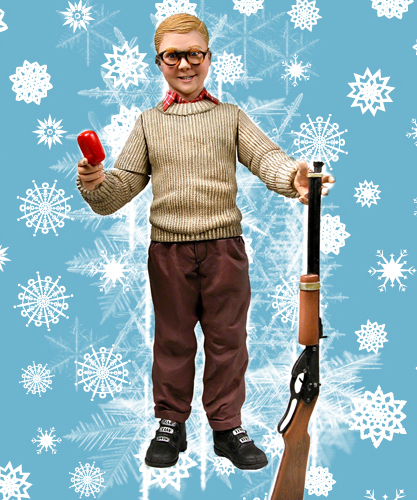 Celebrate the classic holiday comedy A Christmas Story with this talking action figure! In 1940s Indiana, all Ralphie wants for Christmas is a Red Ryder BB gun. Despite everyone telling him he’ll shoot his eye out, he won’t let anything get in the way of his dream gift! This Ralphie figure stands 10″ tall and speaks lines from the movie at the push of a button. It comes with BB gun and bar of soap (you know what that’s for) accessories. Batteries included. A great gift any time of year!